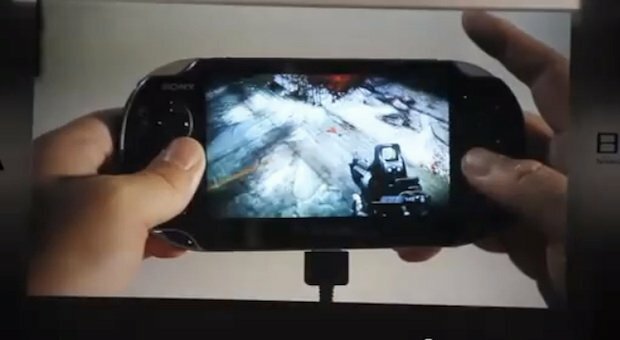 PS Vita To Be Able To Remote Play All PS3 Games? That's according to Eurogamer, which claims to have learnt that a future PS3 firmware update will introduce the functionality. Back-catalogue titles will reportedly only display at the PSP's 480x272 resolution, although this will be upscaled to fill the screen. But new games will have the option of including Vita specific 480p playback. SCE Worldwide Studios president Shuhei Yoshida used his keynote address at last year's Tokyo Game Show to demonstrate PS Vita's Remote Play functionality, which you can see in the video below. He showed off Killzone 3 being played remotely with Vita as the controller. While the new handheld doesn't offer all of the PS3 pad's buttons, the game makes use of the portable's rear touch panel. It is about time Sony make better usage of the 'Remote Play' feature that been their from day 1, but very limited. From this its most likely that the remote play will work similarity to a video streaming system, basically if your Wi-Fi signal is not at least %90 than your video quality will go down significantly. However we think that if you are trying to remote play a online multiplayer game i.e MW3 the quality will be almost unbearable due to the fact that all the bandwidth will be taken up by MW3's online service. Rumors are this upgrade to go against those that might switch to the new Wii-U system because of the hand-held tablet controller with its own screen that comes with each Wii-U console! So then what do you think of this type of remote play? Will you play any specific games using remote play? or do you think that Sony is trying to trick us with remote play? Because all the games will run at low resolution? Remember to tell us what you think in the comment section below! Also please like our Facebook page and follow us on Twitter for all the PS Vita updates sent straight to your Facebook/twitter accounts!